Editors came to town in early February and packed the Showbox at the Market tight. Upon arrival, we made a bee-line through the all-ages pit to the back of the room to get a good view with the rest of the old fogies. The wifey enjoyed Hot Hot Heat frontman Paul Bayer’s enthusiastic bouncing around and keyboard antics, but I found them a little bland. Editors took the stage at exactly 10:10 and then something unexpected happened – sun blindness. Not figuratively, like “their music was truly incandescent,” but we literally had to shield our eyes from the brutal, startling rays. We looked like idiots ducking behind the person’s head in front of us. Despite this annoyance, the band sounded very energetic. Unfortunately, it wouldn’t be the only thing that marred an otherwise solid set of Joy Division-inspired melodic postpunk. Then there were the Keds. During one stretch of the show, Smith pulled a Coldplay move and sat down sideways at the piano for a few songs, thereby exposing his shoes. Yes, that’s right, he was wearing white Keds with his dark slacks and dark button down collared shirt. The case against him was mounting. Regardless of all the annoying non-musical elements of the show, it was a night of good music with few surprises. 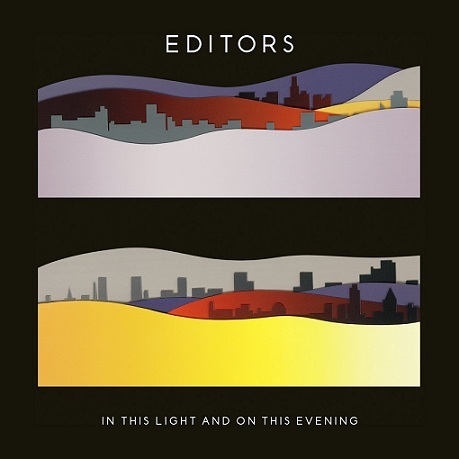 Editors aptly get dubbed “the British Interpol,” and like that band they have some really high drama songs with ascending verses and soaring choruses. (My iTunes informs me that I’ve listened to “An End Has a Start” 59 times. That’s a lot of listens for a single song.) They played lively and accurately – the whole thing was almost too spot-on with their recorded output for the wife – and it felt good to hear them live. Will Wagler’s musical project, the Glasses, will release a new full-length album late spring of this year. Hopefully his wife will like it.